Field of view 22 mm of a 3x4 cm specimen. Collected in 1990. Interesting version of Harmotome with a salmon colour and a red centre. 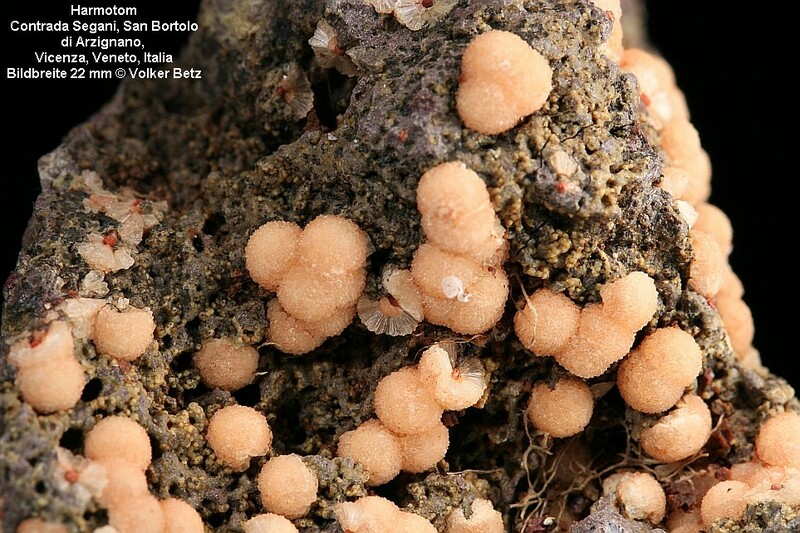 This was known for a long time as Harmotome or Phillipsite but recently identified as Harmotome.